A great solution for those that do not like traditional mince pies! 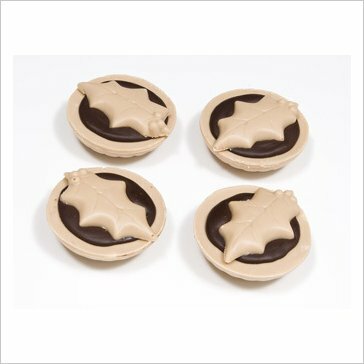 Solid chocolate mince pies made from White Chocolate and Dark Chocolate. Pack of 4 presented in a clear box and tied with ribbon.